Many thanks for the support to Henro and the manufacturer Arctic. 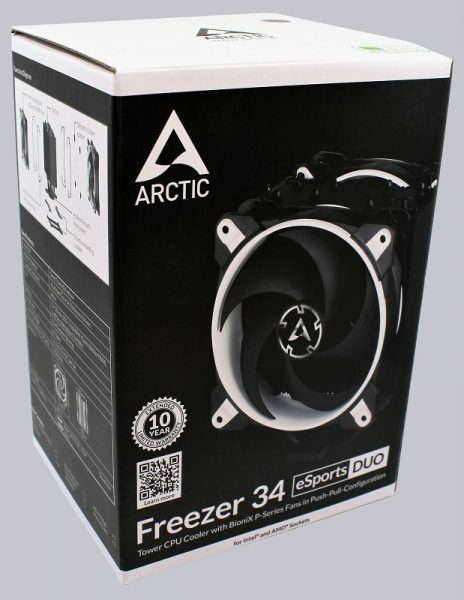 The Arctic Freezer 34 eSports DUO currently has a price of about 50 Euro (01/2019). 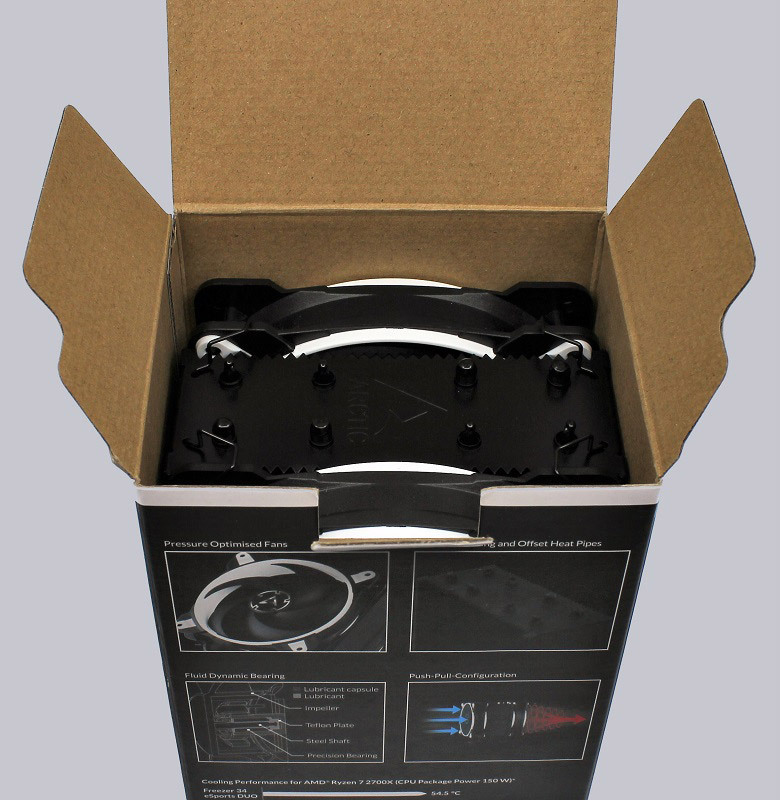 The Arctic Freezer 34 eSports DUO comes in a compact package in the typical Arctic style. 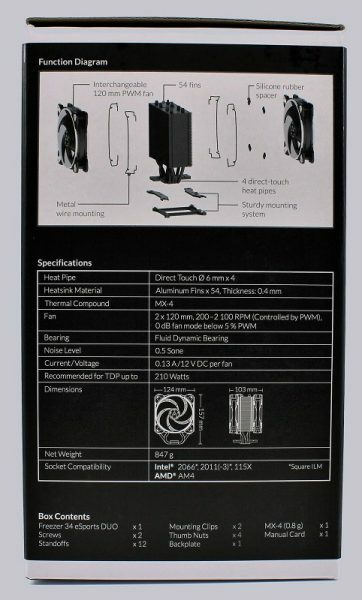 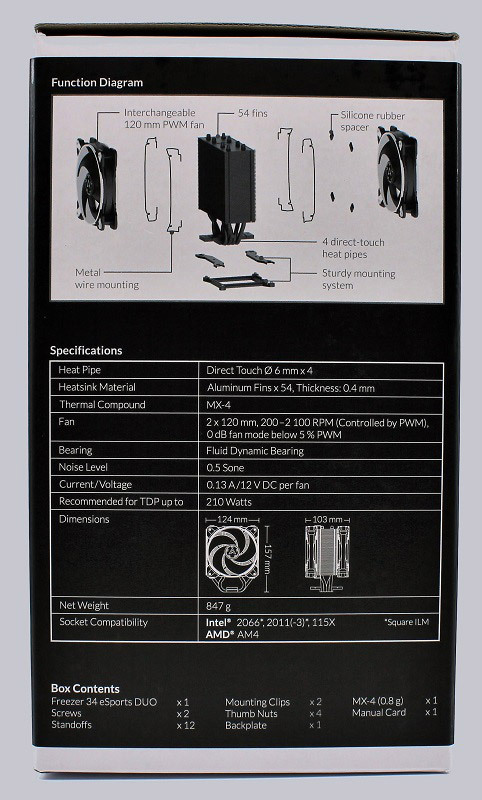 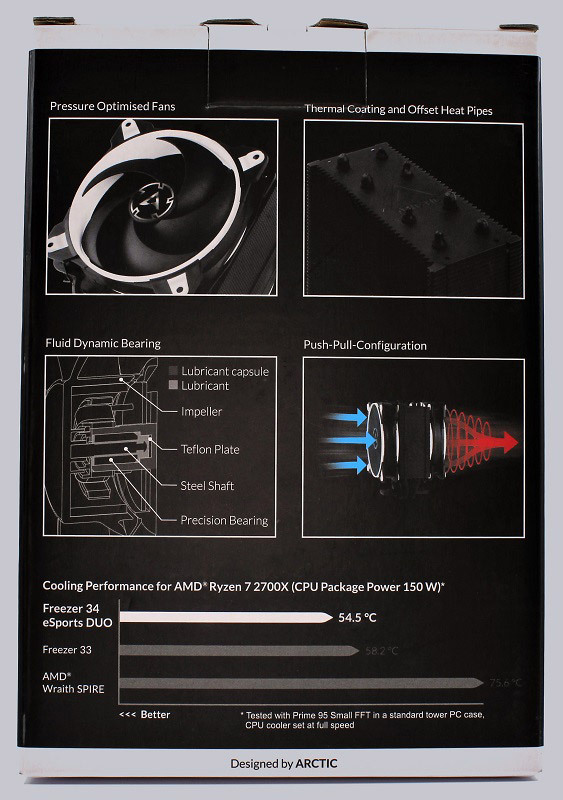 The side of the box shows the highlights of the Freezer 34 eSports DUO: pressure-optimized fans, a sophisticated cooler design and push/pull configuration. 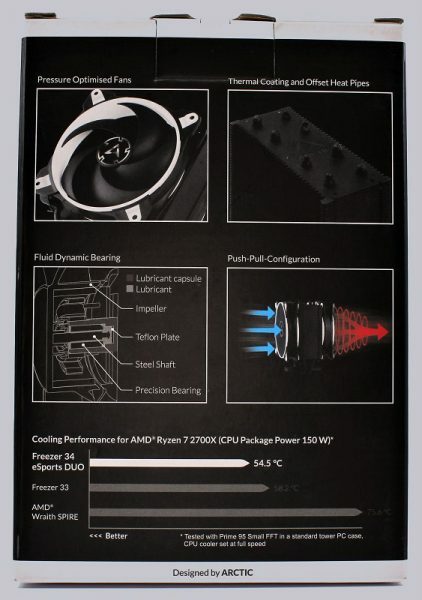 On the other side we see all important technical data. 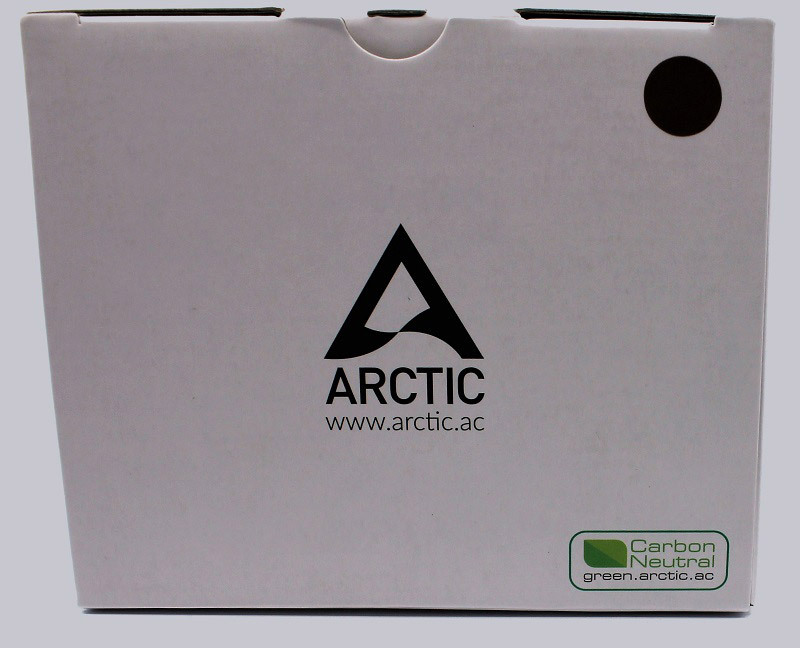 As a small hint of Arctic’s efforts to be ecofriendly, we find the CarbonNeutral logo on the lid. 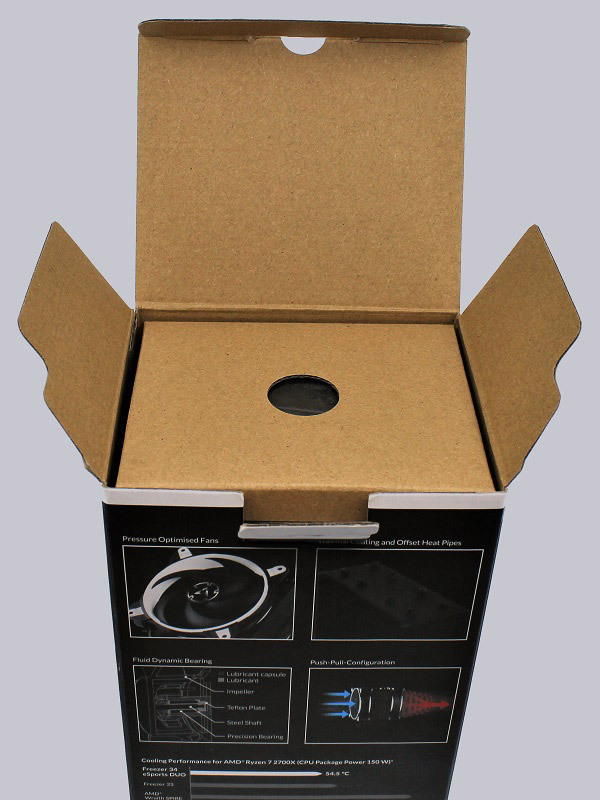 After we have opened the lid of the packaging, we first discover the accessory box. 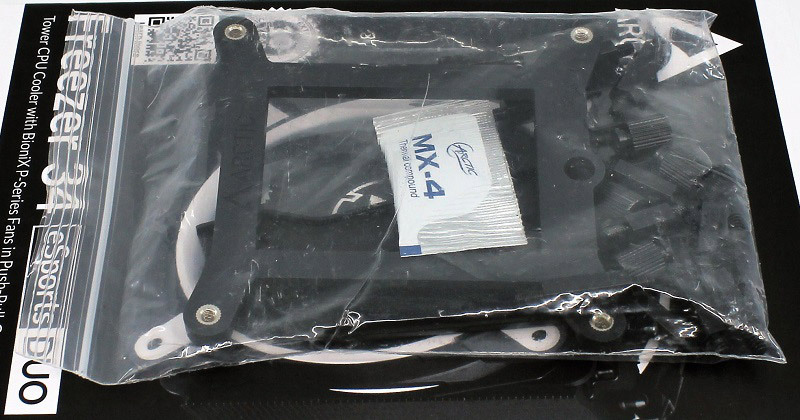 In this is the mounting material and even a bag of high quality MX-4 thermal grease. Underneath, we find the cooler with the pre-mounted fans.